There are hundreds of empirical studies finding evidence of tax-motivated profit shifting, using different data sources and estimation strategies. While measuring the scope of BEPS is challenging given its complexity and existing data limitations, a number of recent studies suggest that BEPS is responsible for significant global corporate income tax (CIT) revenue losses. This report assesses currently available data and concludes that significant limitations severely constrain economic analyses of the scale and economic impact of BEPS and improved data and methodologies are required. Noting these data limitations, a dashboard of six BEPS indicators has been constructed, using different data sources and assessing different BEPS channels. These indicators provide evidence that BEPS exists and has been increasing over time. New empirical analysis estimates that the scale of global CIT revenue losses could be between USD 100 and 240 billion annually at 2014 levels. The report also presents a toolkit to assist countries evaluate the fiscal effects of BEPS countermeasures. The research also finds significant non-fiscal economic distortions arising from BEPS. 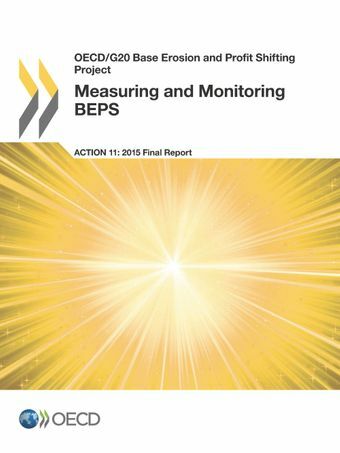 The report concludes by making recommendations regarding data and monitoring tools to improve the analysis of BEPS in the future.